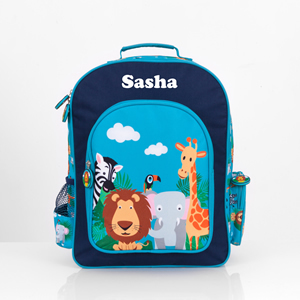 Animal and nature lovers will appreciate our kids’ backpacks, which feature a range of colourful jungle critters, including the striped zebra and the long-necked giraffe. 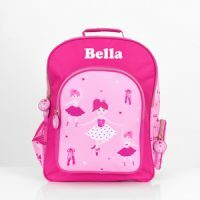 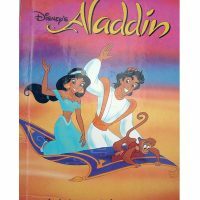 This contemporary-themed backpack is just one of the bags we have on offer, and is ideally suited for those who wish to upgrade from the ‘Little Me’ size. 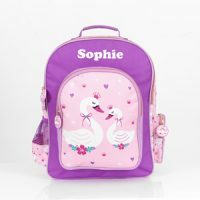 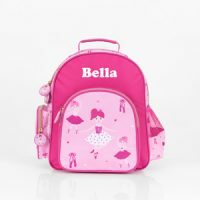 Whether you need it for school or home, these personalised gifts will ensure you stand out from the rest of the pack.